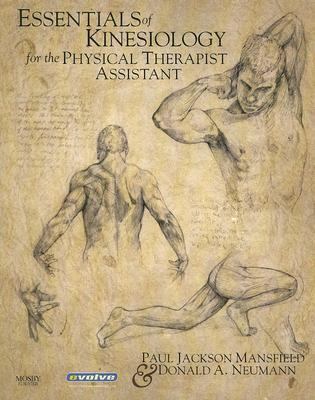 With clear, concise explanations and detailed illustrations, ESSENTIALS OF KINESIOLOGY FOR THE PHYSICAL THERAPIST ASSISTANT is designed specifically for fast-paced PTA programs. This book makes even the most complex and daunting content logical and easy to understand by starting with the basic principles of kinesiology and building up to the applied presentation of upper- and lower-extremity areas of the body. A unique atlas-style layout used in body-region chapters pairs an illustration of an individual with a listing of that muscles attachments, innervations, and actions, providing you with valuable information in an excellent visual reference. This student-friendly book also features chapter outlines, key terms, learning objectives, clinical feature boxes, and much more to make learning easy. Nearly 400 high-quality images used throughout the text visually reinforce key concepts. Clinical Insight and Consider This boxes detail kinesiologic issues specifically related to clinical practice and special interest to help you focus on how principles are applied in practice and how they affect peoples everyday lives. At the end of each chapter, Summary Boxes provide a visual summary of the key topics covered in the section to help you make sure youve grasped the content. Study Questions at the end of each chapter help you prepare for examinations. Key Terminology listings in each chapter, with definitions in the glossary, help you master the language of kinesiology. Additional Readings, with a listing of sources for additional reading, provide you with sources for more information on topics of interest. Learning Objectives listed at the beginning of each chapter give you an overview of the chapter and a checklist to help prepare for examinations. The approachable writing style simplifies complex topics and tailors information to your needs as a PTA student. Practicing terminology is easy with the Evolve websites online flashcards and labeling exercises, plus a bibliography simplifies research and helps you quickly find what you need.Neumann, Donald A. is the author of 'Essentials of Kinesiology for the Physical Therapist Assistant', published 2008 under ISBN 9780323036160 and ISBN 0323036163. Loading marketplace prices 15 copies from $1.99 How does the rental process work?